Description: Dunhill has produced some of the finest lighters around, collected by enthusiasts all over the world including Huntsman's Chairman. This Club Table lighter was originally a sports lighter, and has found a new life having been converted into a table version. 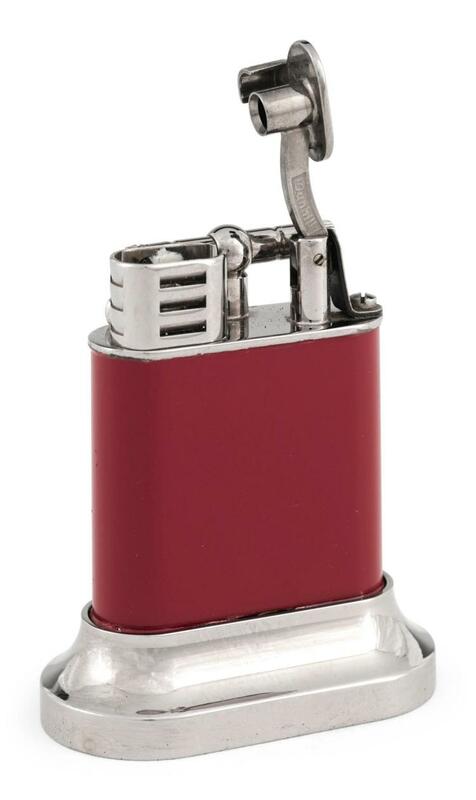 The sports lighter's larger than normal wick, designed to help with outside conditions, also proved to be very good as an indoor cigar lighter. This vintage yet fully functioning lighter has received the bespoke Huntsman treatment, lacquered in Huntsman's signature Claret by artisan Lionheart.